What is Real Estate and Planning? This is a planning course with a difference. After four years you will have both an undergraduate and a postgraduate qualification and accreditation from two professional bodies. You will have a unique combination of skills and an edge over others in the market, with an ability to see the financial potential of any development opportunities. Additionally, you will be aware of the environmental and social issues crucial to the success of contemporary urban planning. This distinctive combination gives you a competitive advantage in the marketplace. This degree builds on the BSc Real Estate course with the first two years being shared. In the third year, you will specialise in development and planning and complete your undergraduate studies at that point. During the fourth year, you will take a twelve month MSc Urban Planning and Development course which will give you Royal Town Planning Institute accreditation. This programme has full accreditation from the Royal Institution of Charted Surveyors and the Royal Town Planning Institute. The programme is divided into four parts, each one lasting one academic year. Teaching and continuous assessment take place in the Autumn and Spring terms. Examinations are held in the Summer term following a period for revision. The method of assessment varies depending on the aims, content and style of each module. Modules may be assessed by coursework, class tests, examinations or a mixture of these methods. Students taking the MSc route have to complete a dissertation. As part of the School of Real Estate & Planning you will belong to a diverse and friendly community, working alongside and making friends with a fascinating group of people from across the UK and all around the world. We are proud of our determined and highly successful approach. Through the provision of high quality degree programmes, world-class facilities and the expertise and support of our staff we will inspire you to share our ambitious ethos and maximise your potential. Our staff are on-hand to offer help and support. They are easily contactable during regular office hours, by telephone or email. Networking and social interaction are vital business skills. Our current students are members of a wide range of student societies and groups. In addition to the sporting and social societies run by the University and the Students' Union, you can join those directly aligned to your degree course. These groups provide an ideal opportunity to meet like-minded students from various departments and a wide range of backgrounds. The Reading Real Estate Foundation has a thriving Student Society which organises events for current real estate and planning students throughout the year, these include an evening lectures series, an annual student ball and regular sporting fixtures. In addition to the facilities offered by the University, we fund a professionally staffed Academic Resource Centre (ARC). Here we keep copies of all course reading material together with key texts and current journals. We also have a comprehensive collection of property market reports and structure and development plans and offer free access to relevant online databases. Real Estate & Planning students have exclusive access to two computer labs which are equipped with more than 40 networked PCs running Windows XP Pro, Office 2007 and relevant specialist software packages. Our Henley Business School building is fully wi-fi enabled so you can use your laptop in classrooms, the ARC and the informal study areas throughout building. Working with the Reading Real Estate Foundation we host a series of evening lectures on campus. These are delivered by key industry people, often our alumni. These are not only an opportunity for students to hear up to the minute debate on relevant issues but also a great chance to network as free pizza is available after all the talks! Why not come along to one the University of Reading Open Days to see what we have to offer? As a School, we are also very keen to develop closer relations with students, teachers and advisors in secondary schools and colleges. If you would like to find out more about the Business School, our areas of study and what we can do for you, we would be happy to hear from you. We expect yo u to work hard while you are with us but we hope that you will find our teaching stimulating and rewarding. Right from the start of your degree you will be involved in "real world" projects and we will give you the tools to become an independent and active learner. Our project based work is designed to develop your research skills and introduce you to group working. This is a great way to meet the other people on the course, to share ideas and to work together to solve problems. There is plenty of traditional class room based teaching and lectures to help re-enforce what you are learning through your own work. You will also have smaller group tutorials which will give you the opportunity to discuss issues in more depth. Our staff are world leaders in their fields and you can expect to be taught by internationally renowned experts, with a wealth of academic and professional experience. All our lectures are given by academic membe rs of staff or by visiting speakers from senior positions in the relevant professions. As well as the core modules we offer additional career related activities. Our alumni association - the Reading Real Estate Foundation (RREF) - organises a series of evening lectures delivered by key industry people. These are not only an opportunity to hear up to the minute debate on relevant issues but also a great chance to network as free pizza is available after all the talks! RREF maintains excellent links with our graduates in the industry and we offer all second and third year students the chance to have an industry mentor. This gives you a real insight into the world of work and is a great opportunity for one-to-one advice from someone already in work. Above all, we create a stimulating academic environment; you will be encouraged to develop individual interests and general skills as a basis for a career in the property industry, a related field or for further study. Application to all of our undergraduate programmes is through the national admissions service UCAS. Applications are made online through the UCAS website. There is no longer a paper application form. 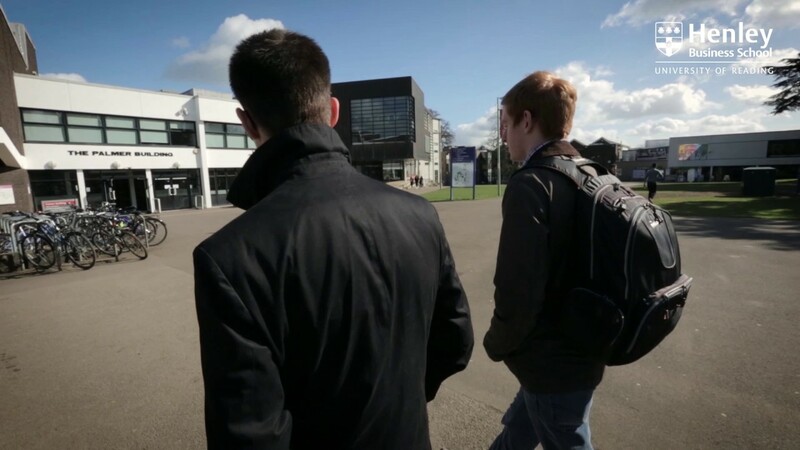 The number of courses you can apply for at all UK universities is a maximum of five courses. You do have to pay to apply for undergraduate programmes (the money goes to UCAS and not the University).The cost of making an application is £11 for 2012 entry and £12 for 2013 entry if you only apply to one course at a single university or college, or £22 for 2012 entry and £23 for 2013 entry for two to five course applications. If you are a UK or EU student, you should aim to apply between 1 September 2012 and 15 January 2013 for admission in October 2013. If you miss the January deadline, you are still welcome to apply but should note that some programmes may be full by this point. If you are living outside the EU you may apply between 1 September 2011 and 30 June 2012 for admission in October 2012. For entry in October 2013 you may apply between 1 September 2012. and 30 June 2013. However you should still try and apply by 15 January as courses may fill up by this point. Our UCAS code is READG R12. We welcome deferred entry applications. You can apply between 1 September 2011 and 15 January 2012 even if you intend to start your degree programme in October 2013. You will need to show on your UCAS application that you want deferred admission. If your plans change during the year we can usually change our offer accordingly – so do keep us informed. For dedicated information to support teachers and advisors when advising their students on University applications. or ABB if the applicant lists the University of Reading as their first choice on the UCAS form. or 32 points if the applicant lists the University of Reading as their first choice on the UCAS form. To provide students with an introduction to the foundations of English law: the English legal system, the law of contract and some aspects of the law of tort. Introductory module covering the principles of construction and the principles and key concepts underpinning modern town planning. This module is designed as an introductory course for students who are enrolled on property related degree programmes. It also provides a foundation for those who are required to undertake further and more specialist property law studies as part of their studies. It aims to provide students with an understanding of the basic legal principles governing the ownership, use and enjoyment of land. This module introduces students to basic financial mathematics and their application for the pricing of equities, bonds, mortgages and real estate assets. Following some introductory material on asset classes and performance measurement, the students will apply models to assess investment decisions. The first part of the module focuses on assets different from real estate, while the second part builds on previous knowledge and it is entirely dedicated to the valuation of property. The purpose of this module is twofold. First it aims to develop a range of key skills to help students make the transition from school to university and on to work; in pursuit of this there will be a strong emphasis on independent learning. Second, the module will provide students with the opportunity to apply and develop knowledge gained through the study of the co-requisite modules. It aims to demonstrate the complexity and dynamics of the ‘business’ of real estate in an academic, and relevant, context. This module introduces the main aspects of landlord and tenant law including types of leases, covenants and the processes encountered by surveyors in relation to landlord and tenant legal interaction. The module provides students with an understanding of the key themes and issues in management as they relate to the real estate sector. It is designed to provide students with the basic management skills that they will need to succeed in delivering real estate solutions in a business environment. This module explores the implementation of selected planning policies and their inter-relationship with real estate development processes. It examines the role of policy guidance and other powers, resources and special organisational arrangements in planning policy implementation. It also provides an introduction to the legal principles underpinning policy implementation, using case studies and case law to illustrate the issues involved. The module provides students with an opportunity to apply subject knowledge developed in the programme during part 2, building on part 1, and to obtain and apply new knowledge in the real estate sector, informing their choice of pathway in part 3. The module develops research and information gathering and analytical skills as well as encouraging independent learning. It also incorporates exercises in career management skills. This module identifies the processes, procedures and practices necessary to value real estate, particularly commercial property investments. It examines the valuation process including regulatory framework, role of the valuation and different concepts of value. It examines in detail various methods of valuation and which ones are appropriate for which role and examines the limitations of these methods and the results. The module aims to provide an insight into the application of economic and financial principles and models to property and land use, building on relevant material from Part 1, and to provide a solid basis for more specialised analytical work in Part 3. The module examines the methods used to appraise the financial viability of development projects. Specifically, this module will critically examine the inherent value systems of various development viability appraisal techniques in an economic, social and environmental context. An understanding of the way in which land value is created and distributed underpins the content of this module. It then builds on this understanding in order to investigate the way in which financial risk and reward associated with development activity might be shared. This module provides a course of study that focuses on the property development process. The module aims to provide students with a theoretical and practical understanding of the nature of the development process, including: the activities, agents, events, relationships, skills and tasks involved; the factors which influence the process and its outcomes; and the characteristics, quality and performance of different types of property development. Emphasis will be placed on linking and applying economic concepts and planning instruments to development decision-making in Britain. It will develop an understanding of economic and other relationships between markets, the key actors in development, as well as fiscal and planning policies. In so doing this module will also integrate concepts and techniques learnt previously and taken concurrently so as to provide a thorough understanding of the property development process. This module aims to provide students with an understanding of key aspects of the built and natural environment. In particular, it examines the nature, role and contemporary relevance of sustainable urban design and development. It covers the dimensions and constituents of urban design and planning approaches to the creation and maintenance of good places, with regard to the interests involved and the nature of the urban design and development planning processes. It aims to promote awareness of, and sensitivity to urban design, and strategic and local planning issues with implications for more socially and environmentally just development outcomes. A multi project based module that introduces new skills whilst drawing together existing knowledge in 'Real world' development and planning scenarios. The module consists of two projects, that cover the different aspects of development and planning. In addition students will be required to undertake group work. The module is about understanding how commercial real estate markets work in an international context. It covers three distinct, but interrelated areas - topics in international market analysis - analysis of European real estate markets - introduction to global market analysis. This module will introduce students to regeneration policy and process via case study examples of urban regeneration practice and policy. Critical understanding of ‘real world’ practices will be developed by the exploration of theory and research drawn from the urban studies literature. The module aims to provide you with an opportunity to: reflect on professional practice while extending the knowledge gained in the first two years of the programme; understand the business context related to your specialism; enhance your understanding, skills and employability and allow identification of individual strengths, areas of improvement within the work environment. The module will provide students with an awareness of the economic principles that underpin residential property markets and relevant government policies. Students will be able to assess the impact of different policy interventions in the housing market. The aim of this module is to permit a student to conduct a substantial, and in parts original, research study on a relevant topic selected by the student in consultation with the module convenor and a specific supervisor. We offer three undergraduate programmes which all carry the same tariff. There is flexibility to move between programmes during the early stages of your study and so you only need to apply for one of our programmes on your UCAS form. Subject: There are no required subjects at A level but Economics, Geography, Business Studies and Mathematics are all relevant. We are proud of our outstanding employment record, with more than 95% of our students entering graduate level jobs within 6 months of leaving. The most highly regarded firms in the industry continue to employ Reading graduates. The majority of our graduates have been able to secure employment before they finish their degree course. As well as offering a direct route in to the property and planning professions, our programmes offer a solid foundation on which to build a career in a wide range of other fields such as finance, law, general management or consultancy. We have a professional Careers Development Advisor, Jane Batchelor, who helps our students with every aspect of the career development process, including identifying work placement, internships and permanent career opportunities. She is available to help with the preparation of CVs and application letters and works with the Reading Real Estate Foundation to develop our evening lecture series delivered by key industry speakers and our annual Careers Fair which is attended by the major firms. Jane also co-ordinates our new work-based learning module which enables students to gain credits towards their degree from relevant work experience undertaken while at University. Our degree courses are very well supported by the industry. A number of important organisations actively participate in the teaching programme and supplement the resources available. These include the British Property Federation and the Investment Property Forum. The Reading degrees in property have been running for more than forty years and there are now almost five thousand graduates. Similarly, Reading has educated town planners for more than 20 years. Many of our alumni have reached influential positions within their industry. As much of the work in the property and planning fields is based on personal contacts, having a ready network to tap into is very valuable. 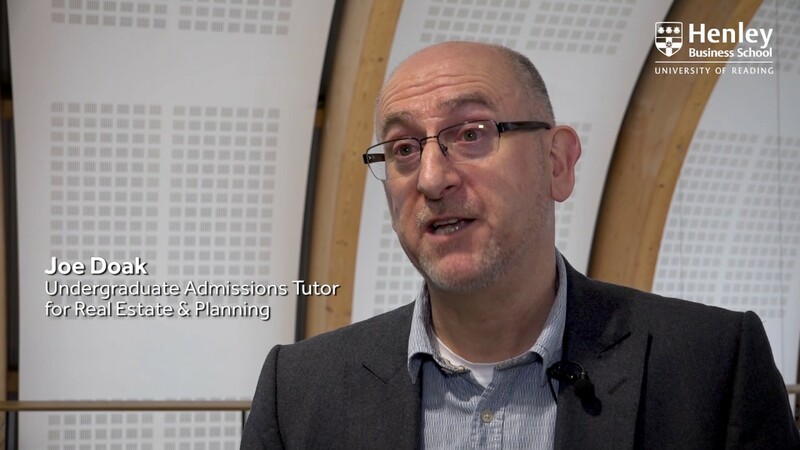 The University's award-winning Careers Advisory Service (CAS) also offers career advice for those wanting to pursue a career in academia or another field. All our degree programmes have full accreditation from the Royal Institution of Chartered Surveyors (RICS) and our Planning programmes offer dual accreditation from the RICS and the Royal Town Planning Institute (RTPI). "Reading definitely offers experiences and opportunities that lead to its students having a prosperous future, so I’d say anyone studying Real Estate at Reading is in very good hands." "The decision to study Real Estate in Reading was actually quite easy to make as Reading is one of the leading Universities in the industry, it has an outstanding reputation across the world." The BSc Real Estate course gave me a fantastic grounding across the property disciplines and the Masters gave me a more in depth understanding of planning and development issues. Looking back, I think the Masters gave me additional flexibility to shape a more varied career. When I started my career, I began training as a Planning and Development Surveyor and became a Chartered Member of the RICS in 2007. With the Masters as well though, I was able to gain more core planning experience, which led to dual qualification with the RTPI in 2008. Planning has become more interdisciplinary in recent years, with issues such as development viability key in negotiations. To be a good planner therefore you need a good understanding across a number of fields and that is why I would encourage people to gain as varied qualifications and experience as possible. I know that it has helped me a lot.